My experience w/Nitrided barrels is that the normal approach to setting back a BBL. after a significant number of rounds should be discussed with your gunsmith prior to committing upon this course. I once purchased a rifle that came with a number of new bbls which I had assumed were blued chromemoly due to their coloration and asked my gunsmith to cut a new chamber in one of these. I was embarrassed and poorer after my gunsmith sorted the misunderstanding out. You are correct, and I tried to explain this point in the article. Once a barrel has been nitrided, the surface hardness is increased to the point that IT IS IMPRACTICAL TO RECHAMBER the barrel with conventional reamers and tools. Basically the steel is so hard it will ruin the tools. On the other hand, if you can get 50% or more accurate life from the barrel, you’ve avoided the need to set-back the barrel in the first place. Once you have a chamber in a nitrided barrel, you can’t rechamber to another cartridge type. what about sending a barreled action ? Would it help or hurt the action ? Additionally… would you just require the barrels or could I send a barreled upper? What about barrels already blued or parked? Can they be done? 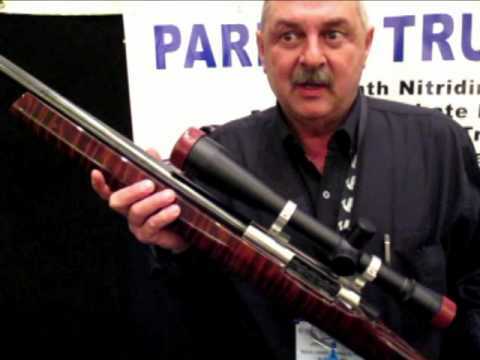 Would you recommend this process on a military type barrel that uses steel casing ammo (corrosive)? I’m interested in the answer to “What about a barreled action”. Considering that it’s stripped of trigger group, magazine box, and all other removable parts, that is.